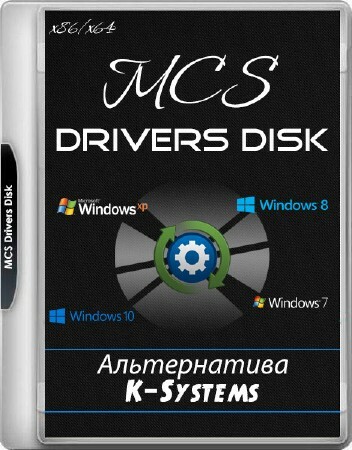 This disk is a collection of drivers with the ability to install the necessary drivers in a few clicks. The program automatically determines which drivers are required for this computer. Works with standard installers, unpacked drivers. • Some common ACPI devices. The number of drivers found by the program for an OS depends only on the availability of such drivers on the disk (rests on the volume of the disk) and the correctness of the paths in the corresponding configuration files. Users can add or remove drivers from the disk themselves and replenish the HWID database. This program was written for yourself and friends and, accordingly, is supplied by As Is (As Is). The drivers on the disc have not been tested for compatibility with all the OSes for which they are claimed. The author does not bear responsibility for any damage caused by the use of this program. This version uses only the extended driver database (* _ DBX.ini) + index files (*. Idx) to speed up the search procedure. Not compatible with versions 9.x and below. Updated some drivers to the current versions and added new ones. Updated Microsoft .NET Framework v1.0_4.7.2 from Diakov! The device database has been updated.